This page is a repository for staff photographs. See also, school sports teams, and dramatis personæ. If you can help filling in any gaps, or if you have any other photos, please drop me an email (info@hall43.co.uk). 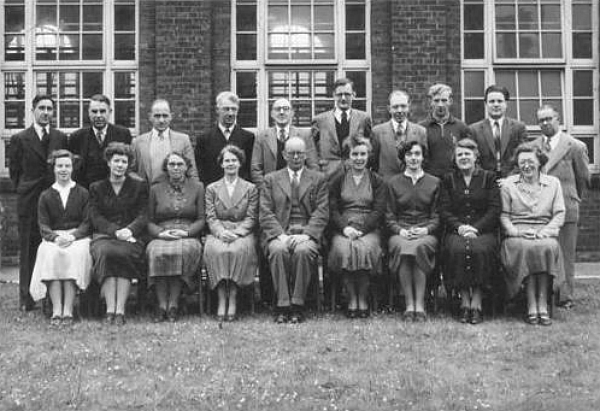 This photo pre-dates Dinnington Secondary School by about a couple of decades and shows the staff of the Junior school across the road (and a couple of its pupils, rather frighteningly erased, top left). 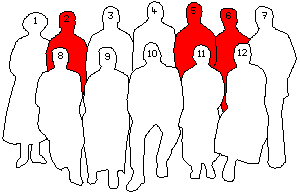 The key shows (in red) those staff who would go on to teach at the secondary school. 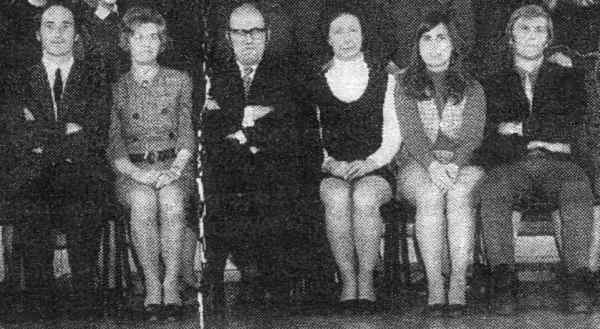 The woman in black on the front row and the impressively moustachioed man sat next to her were the headmistress Mrs. Margaret Pickard and the headmaster Mr. Archiman Pickard MBE. This couple were the parents of Dr. R. J. Pickard, the first head of the secondary school's Boys Department. Many thanks to their grandson, Michael Pickard, for the photograph. I've deduced most of the rest of the staff using the photo below. If you can fill in the remaining gaps, or correct any incorrect inferrences, please let me know. A World War and a significant shift in fashion are just about all that separate this photo from the first. 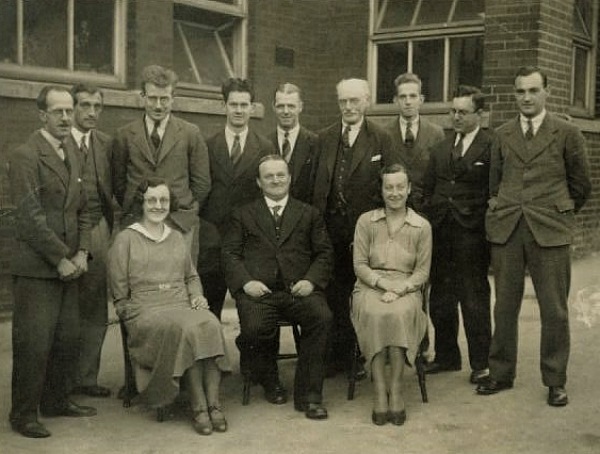 Don Smith attended Dinnington school in the 1930s and was able to identify Miss Christian (who only had one hand). He spoke very highly of both Miss Christian and Dr Pickard. 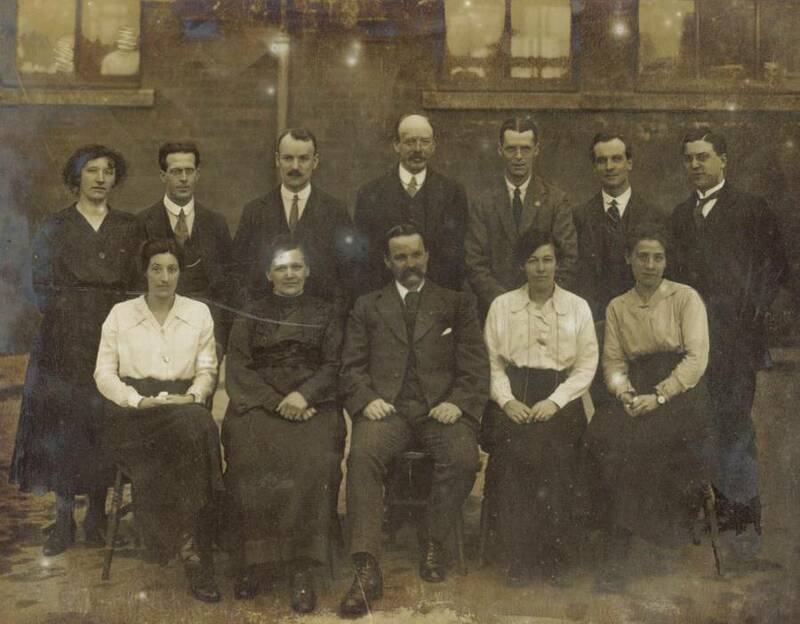 Please help to identify all the staff in the above photo. 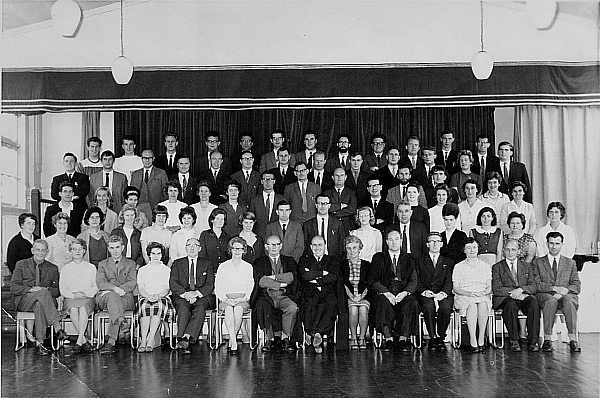 Here's an excerpt from a school photo taken in one of the Lower School halls in 1972/3. Many thanks to Julie for filling in four of the six, Jane Clark for providing Mr Lewis, and Mr Lewis for providing Miss Gilroy. 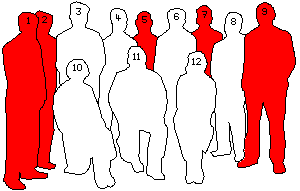 Here's the front row of a group photo. Click the image to see the full thing, complete with hirsute students.